The modern facilities include large parking area, wheelchair access, tackle hire and light refreshments with picnic and barbecue areas ideal for family and corporate events. 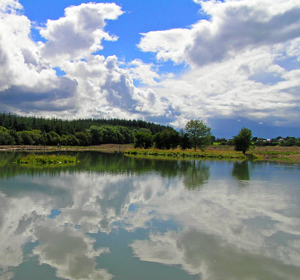 Whether you are a beginner or an expert, the Laois Angling Center provides the complete fishing experience. October 1st – February 28th | Weekends only or Weekdays by appointment only. Open Bank holidays. Christmas Opening Hours: Closed Christmas Day. Open weekends from 9am until dusk, open Christmas Eve, Stephens Day from 9am until dusk.